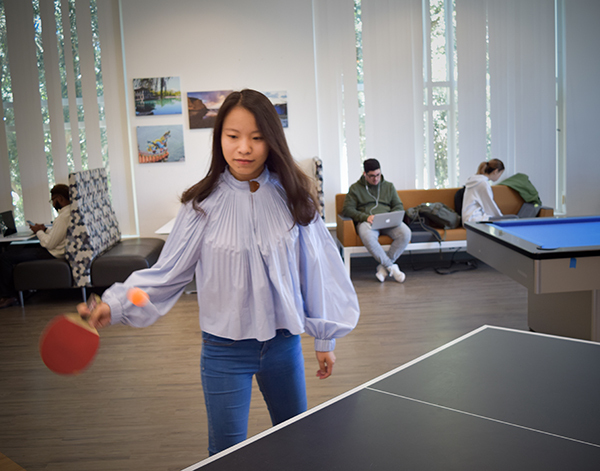 A champion of table tennis, you can always spot Yi Wu on the top floor of the UC San Diego School of Global Policy and Strategy’s (GPS’s) student lounge. An avid fan of sports, Wu likes to stay active – from badminton to skiing and gym time at RIMAC. After visiting San Diego on a family trip, she fell in love with the culture of the city. 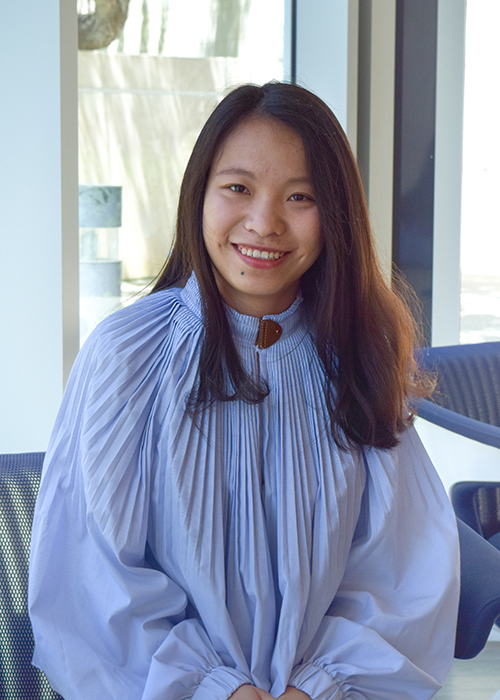 As an undergraduate labor and social security major, Wu was eager to expand her studies into the global arena, as well as experience American life as a Master of Public Policy student. “One of my instructors at Shanghai University of Finance and Economics recommended UC San Diego, for both its beauty as well as its strength in domestic and global policy analysis,” recalls Wu. When not staying active, Wu can be found studying with friends in one of the many common areas at GPS or in the kitchen cooking up traditional Chinese dishes for friends. Ask her about her favorite meal! Check out our Flickr album for the full story. What drove you to GPS to pursue your MPP? So, how was your first quarter? Is there anything you wish you would have known as a prospective student that you know now? What motivates you to come to campus every day? Where do you hope to be after graduation? Where can we find you when you’re not on campus? Which professors or classes have made a lasting impression on you thus far? What is your area of specialization and why did you choose it? Amid your rigorous academic schedule, in what ways do you strike a work-life balance?